READY TO GET IN SHAPE? CURIOUS ABOUT KRAV MAGA OR JIU JITSU? APPLY FOR OUR 6 WEEK FAT LOSS CHALLENGE! Check out video’s covering Krav classes as well as BJJ drills, training & competition. 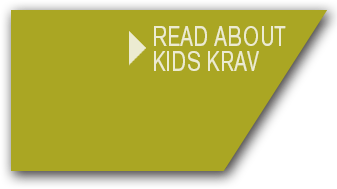 Krav Maga – The Ultimate Self Defense System. At Mada Krav Maga & Jiu Jitsu Martial Arts you will learn the ultimate self defense system while improving your strength, increasing your stamina and heightening your mental awareness. Developed in Israel for their Defense and Security forces Krav Maga has proved time and again to be the best protection against a physical attack. Krav Maga is built on effective techniques and instinctive movements and prepares not just men, but women and children for real-life threats or attacks. Incorporating methods from several fighting systems Krav Maga stresses the use of constant forward aggression in the event of an attack. The class is a serious workout and the training will get you in shape AND teach you invaluable combat skills so you can protect yourself and your loved ones. Brazilian Jiu Jitsu (BJJ) is one of the combat martial arts and also a sport that uses different technical maneuvers to obtain positional dominance where one can control a threat with highly effective ground fighting tactics. While the best option is usually not to let a fight go to the ground it often happens and if it does you will be prepared to aggressively defend yourself. One of the benefits of BJJ is that a smaller, weaker person can defend against a larger, stronger opponent by using proper positioning, technique and leverage. For this reason BJJ is gaining popularity with women and children because it is beneficial for EVERYONE to have the ability to protect themselves. Mada Krav Maga & Brazilian Jiu-Jitsu Martial Arts in Shelby Township MI. Mada Krav Maga & Brazilian Jiu-Jitsu is a Great location to train for those living near Sterling Heights, Rochester Hills, and Washington Township. We focus on a combat based self defense system using a mixed martial arts style.